PHP-Mods Team would like to inform you that a new payware phpVMS module has been released. After a few months of development and testing, we are happy to announce you the Property System module. This module allows your pilots to use their money and make profit instead of just flying. 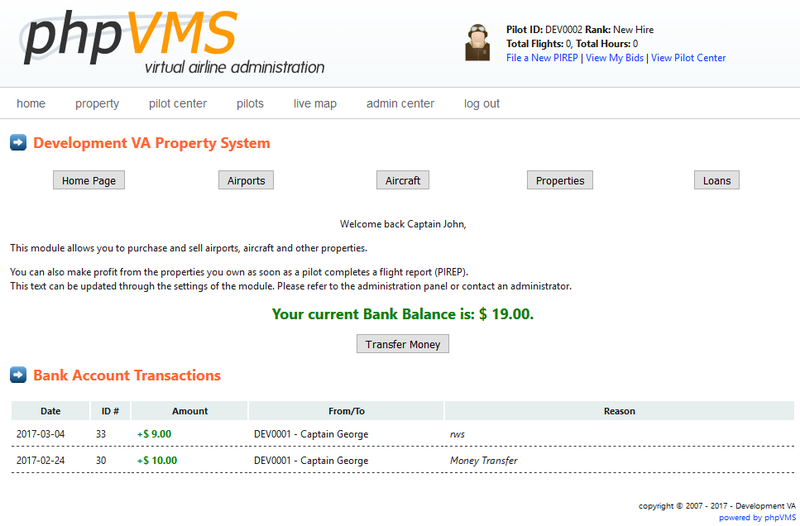 Your pilots are able to purchase airports, aircraft and other property types on your system and make profit from them. The profit made from the properties is based on the PIREPS submitted in your system. Purchase today the module and give the ability to your pilots to use their virtual money in something more interesting. Our Team is ready to hear any suggestions you may have. Feel free to get in touch with us.